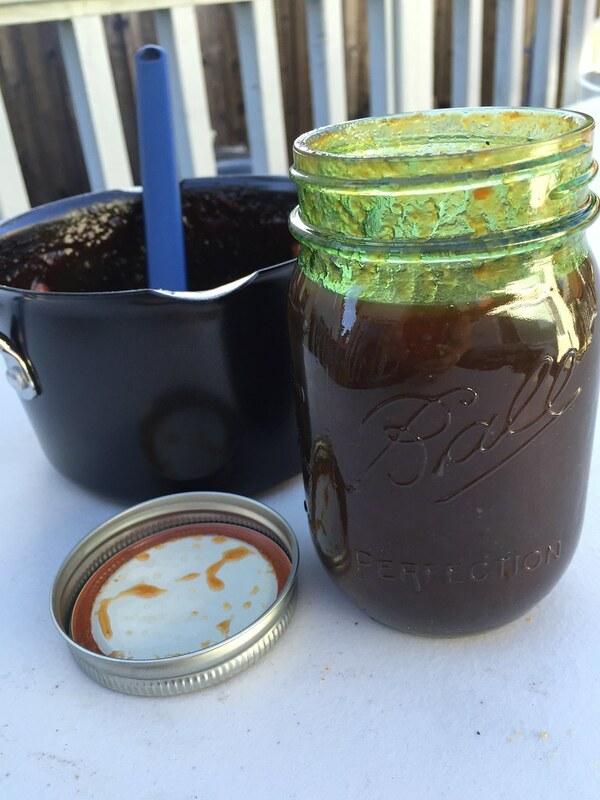 I recently barbecued some skin-on, bone-in chicken thighs and legs on my Weber Charcoal Grill and wanted to make a flavorful BBQ sauce to brush onto the chicken pieces. Using just ingredients in my pantry, I created my own Hawaiian BBQ Sauce. Pineapple juice was definitely the star ingredient in this BBQ sauce. The bursting tangy and sweet flavors of the pineapple juice gives this sauce all the Aloha needed to make it Hawaiian style. Bring ingredients to a boil and then simmer for 1 hour until sauce reduces to a slightly thick consistency. Stir frequently.